This past Saturday I met up with Capt'n and Mrs. Dangerous for some paddling and camping in Chazy and Champlain, NY, the last two townships before the Canadian border. Champlain, like the lake, is named for Samuel de Champlain who paddled up the Richelieu River from the Saint Lawrence in 1609. Chazy is said to be named for Captain de Chazy of the French regiment Carignan-Salieres who was killed in a skirmish with the Mohawks near the mouth of the Little Chazy River in 1666. He'd been stationed at the French fort Sainte Anne on nearby Isle La Motte which is named for, yet another, French Captain Pierre la Motte. 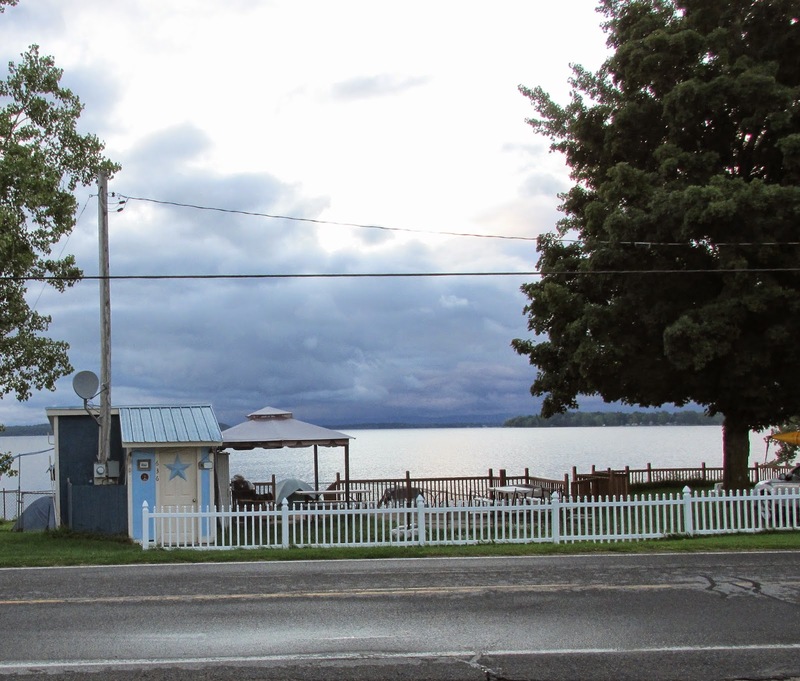 The area is at Lake Champlain's northwestern end and near to where it transitions into the Richelieu River before flowing north into Canada. Beyond the building there's an island where the river becomes too shallow for paddling. The family of Mrs. Capt'n Dangerous has maintained a camp here for several generations. At the conclusion of the paddle the sun had almost restored the feel of summer and a post-paddle swim in Monty Bay was enjoyed by all. After a little hemming and hawing I elected to take the long way home via Champlain and Rouses Point, the latter being a railroad hot spot I'd long hoped to visit. These days it contains a museum and serves as an Amtrak stop for the Adirondack which runs between New York City and Montreal. Once calm had been restored I drove across the top of Lake Champlain into Vermont where Route 89 brought me back home.